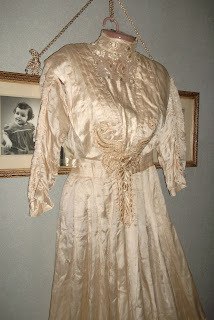 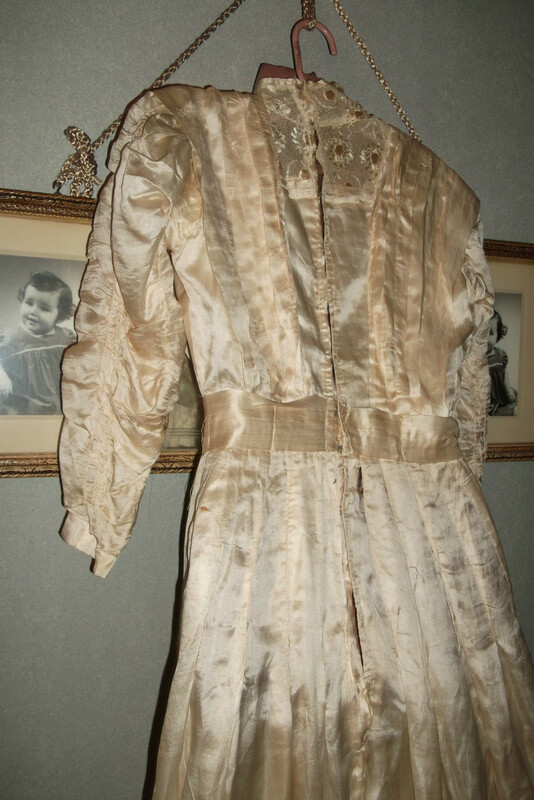 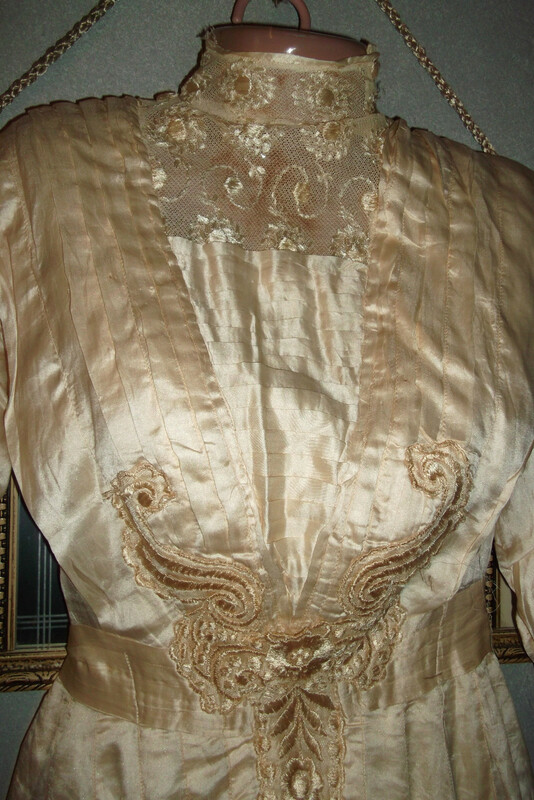 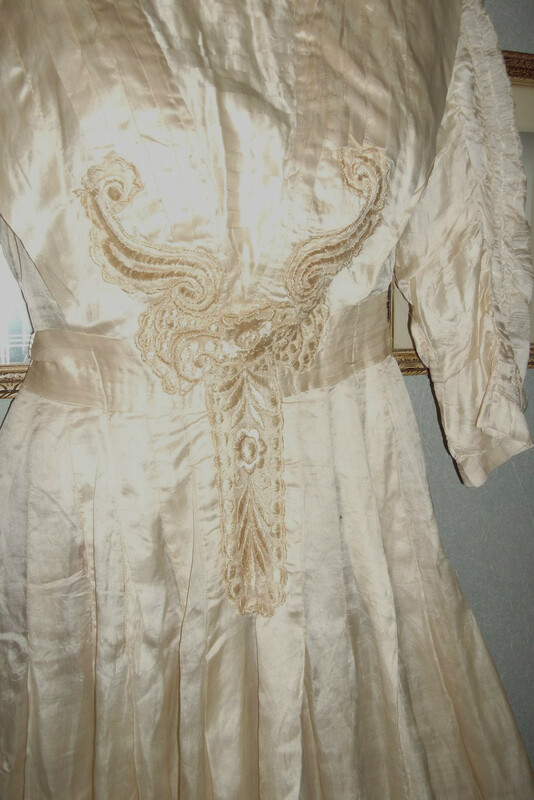 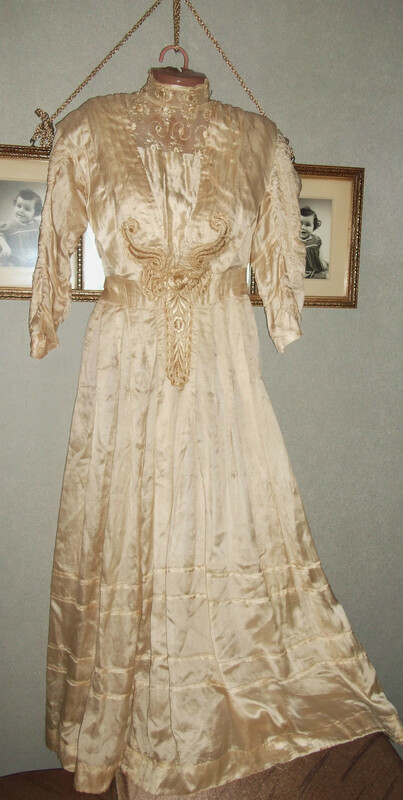 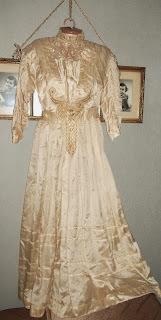 This Auction is for A Ladies Victorian / Edwardian Era Ladies Dress. Made of Champagne/Ivory Silk. After measuring I would assume this dress to be a size 8/10. Probably about 1906 give or take a couple of years.